Xiaomi Redmi Note 6 Pro VS Tecno Camon 11 Pro: Which One Have Value For Money? Tecno Mobile is one of the best selling smartphones brands in Nigeria. This is because they offer the best phone with great features at a considerable price. The Xiaomi is now getting more popular and it now has many fans in Nigeria. The phone is still coming from a Chinese maker. However, they offer more quality phones with a beautiful body design at an affordable price than Tecno. In other to prove that right, we will be looking at the comparison between the new Tecno Camon 11 Pro and the Xiaomi Redmi Note 6 Pro smartphone. In terms of design, the Xiaomi Redmi Note 6 Pro sport’s a decent and elegant body compared to the Tecno Camon 11 Pro that copy the design of the Huawei Nova 3i. The Xiaomi Redmi Note 6 Pro features similar notch with the Camon 11 Pro and it has a four cameras set-up. It measures 157.9 x 76.4 x 8.3 mm and weighs 182 gram. The Tecno Camon 11 Pro, on the other hand, is not looking bad at all. It features a decent body design with a dual rear cameras set-up. It measures 153.7 x 74.5 x 8.5 mm and weighs 158 gram. Both phones are available in multiple colors and they also have a fingerprint scanner for security. The Xiaomi Redmi Note 6 Pro has a screen size of 6.26 inches with a resolution of 1080 x 2280 pixels and 403 PPI density, while the Tecno Camon 11 Pro has a screen size of 6.2 inches with a resolution of 720 x 1500 pixels and 268 PPI density. Both phones feature an IPS LCD capacitive touchscreen with a display protection. The Xiaomi Redmi Note 6 Pro will offer clear visuals than the Tecno Camon 11 Pro, while the Camon 11 Pro has a higher screen to body ratio. The Xiaomi Redmi Note 6 Pro has a dual rear cameras of 12 MP, f/1.9, 1/2.55″, 1.4µm, dual pixel PDAF + 5 MP, f/2.2, 1.12µm, depth sensor, while the Tecno Camon 11 Pro has a dual rear cameras of 16 MP (f/2.0, AF) + 5 MP (depth sensor), quad-LED flash. On the front, the Xiaomi Redmi Note 6 Pro also features an impressive dual front-facing camera of 20 MP, f/2.0, 0.9µm + 2 MP, f/2.2, 1.75µm, depth sensor, while the Tecno Camon 11 Pro has a single front camera of 24 MP f/2.0, 1080p@30fps with FaceID, and dual-LED flash. The Xiaomi Redmi Note 6 Pro will take better photos than the Camon 11 Pro. On the performance, the Xiaomi Redmi Note 6 Pro is powered by Qualcomm SDM636 Snapdragon 636 chipset with an octa-core processor that clocked at a speed of 1.8 GHz, while the Tecno Camon 11 Pro is powered by MediaTek MT6762 Helio P22 chipset with an octa-core processor that clocked at a speed of 2.0 GHz. Both phones run on Android 8.1 Oreo operating system and they also have support for dual SIMs with 4G LTE network. 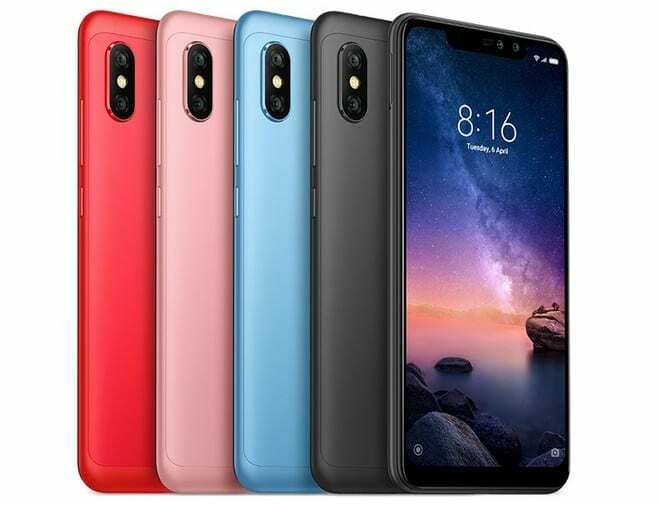 The Xiaomi Redmi Note 6 Pro is available in – 32 GB internal storage and 3GB RAM plus 64GB Internal storage and 4/6 GB RAM, while the Tecno Camon 11 Pro is available in 6GB RAM with internal memory of 64GB. They support micro SD card for expansion. The Xiaomi Redmi Note 6 Pro has a nonremovable battery capacity of 4000 mAh with fast charging technology, while the Tecno Camon 11 Pro has a nonremovable battery capacity of 3750 mAh. On the price, the Tecno Camon 11 Pro is selling at a price of $223, while the Xiaomi Redmi Note 6 Pro is selling at a price of $189. On the overall, the Xiaomi Redmi Note 6 Pro has the final point. The phone looks more premium and it also has a better camera setup with a screen display as well. To cap it all, it’s more affordable than the Camon 11 Pro. So, the Xiaomi Redmi Note 6 Pro will make a wise buy.